Search for residential investment multi-family, land, commercial, industrial, mixed use and retail space in the Chicagoland area. 1090 Ground Level Office Space With Parking for Lease 770 Busse Hwy. White Tie Commercial is proud to offer professional commerical real estate services. We service all of Chicagoland and have affilates that can handle your needs throughout the state of Illinois. In addition you can find specialized commercial real estate information about the Northwest Suburbs. 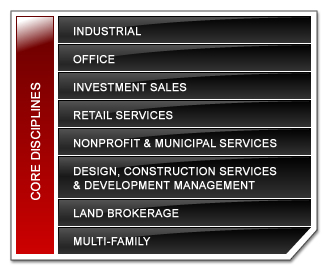 If your looking to buy, sell, invest, lease or develop commercial real estate we have the team to help you. Find information about Chicago, Arlington Heights, Buffalo Grove, Des Plaines, Elk Grove, Hoffman Estates, Mt. Prospect, Palatine, Prospect Heights, Rolling Meadows, Schaumburg, Wheeling.